Jeff Andrews, an acclaimed and influential electric bassist whose virtuosic technique and fluid sound were a key component of the jazz fusion scene since the early 1980s, passed away in New York City on March 14, according to multiple trade publications and several musicians who were close to him. He was 59 years old. A cause of death has not been announced; however, Andrews was admitted to Manhattan’s Lenox Hill Hospital on January 14 and was diagnosed with double pneumonia, remaining in the hospital for at least two weeks. Andrews was an in-demand bassist, building a long and productive career within the fusion genre. He was probably best known for his late 1980s tenure with saxophonist Michael Brecker and for his work in the 1990s with guitarist Mike Stern and drummer Steve Smith’s Vital Information ensemble. Andrews also led his own bands, including the New Standards band in the late 1990s and an eponymous trio that he had led since 2000. 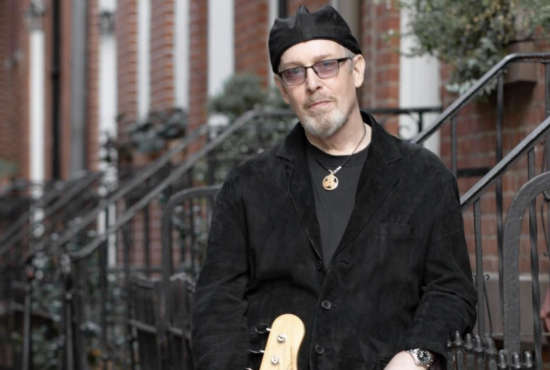 After a stint in Los Angeles, Andrews moved to New York, where he was briefly a member of a reformation of the jazz-rock band Blood, Sweat & Tears; the following year, he joined the fusion ensemble Special EFX, with whom he remained for three years and performed on three albums. While still working with Special EFX, Andrews began booking music at New York’s 55 bar, including a regular twice-weekly duo gig with guitarist Mike Stern, soon expanding to a trio with the addition of drummer Adam Nussbaum. All three musicians eventually came into the orbit of tenor saxophonist Michael Brecker, becoming members of his band from 1986 to 1989 and appearing on his Grammy-winning 1988 album Don’t Try This at Home. Andrews left Brecker in 1989 to join Steps Ahead, the fusion band led by vibraphonist Mike Mainieri (which, in an odd coincidence, Brecker had left in 1986 to form his band with Andrews). In Steps Ahead he met Steve Smith, leaving with the drummer in 1991 to become part of his band Vital Information. During that time he was also the top-call bassist for Stern’s trio and other ensembles. In 1998, however, Andrews informed both leaders that he simply no longer wanted to go on tour. Andrews also led his own band, the New Standards Band, with vibraphonist Joe Locke; after 2000, however, he focused on his own ensembles, primarily working in New York and rarely recording; however, his most recent biography stated that he was working on a new solo album. (He appeared on a 2006 album by vocalist Debbi Deane, and recorded in August 2018 with drummer Ben Perowsky on a project that has yet to be released.) He also worked in New York as an educator, working until 2004 on the faculties of both the New School and Manhattan School of Music and concentrating on private lessons thereafter. Andrews had been scheduled to play his birthday evening at the Blue Note Jazz Club in Greenwich Village, leading a trio with guitarist Masami Ishikawa and drummer Richie Morales. The evening before the show, however, Andrews posted to his Facebook page that “After spending the last 5 days in Lennox Hill Hospital with Double Pneumonia my Doctors directed me not to perform at the Blue Note tomorrow[. ]” In February he returned to his home in Manhattan’s Westbeth Artists Community, where he was working to regain his strength.